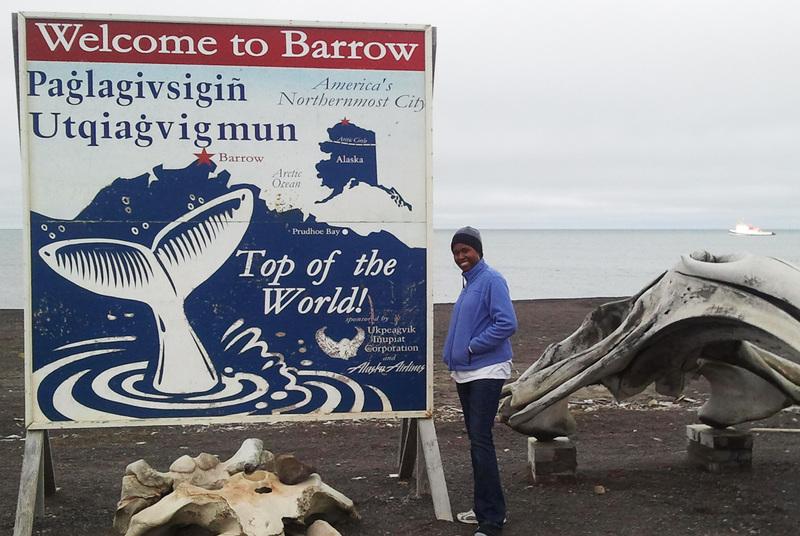 Hello from Barrow, Alaska! 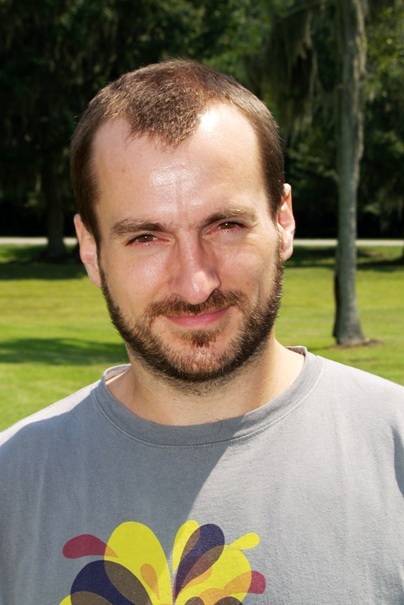 This is Victoria Baylor and Zac Tait, members of the Frischer lab at Skidaway Institute. We are here to collect our final summer season samples and perform some experiments. We arrived safely in Barrow on August 11th after spending most of the 10th traveling and spending a night in Anchorage. The trip is so long, that we had to spend the night in Anchorage AK. We stayed at our usual place, the Holiday Inn Express in Anchorage and enjoyed fine dining at Simon & Seaforts. We have to admit the food was exactly spectacular and with a good nights rest we were ready to head off to Barrow on the 11th. We made it safely to Barrow and were met by Dylan and Glenn Roy, two of the UMIAQ Logistics personnel, and Rachel Sipler from the Bronk lab at Virginia Institute of Marine Science (VIMS.) The first thing we noticed as we walked off the plane in Barrow, Alaska was all of the snow and ice was gone. The ice was just beginning to melt on the roads at the end of the last trip in May but now the landscape was transformed into a gravelly, boggy mud-puddle. We left with Rachel, then checked into our hut and were surprised that our entire group plus Karl Newyear , Chief Scientist of UMIAQ, would be occupying the same space. That’s 8 people in one hut…..and only one bathroom. It was our first group housing experience. Victoria and the "welcome sign"
After getting settled in, we decided to set-up our labs. We pulled all of our supplies down from storage and distributed them to the Barrow Alaska Research Center (BARC ) lab and the Beach freezer cold room. After setting-up, with no more work to do, we did our grocery shopping and returned home to await the arrival of our other team members. That’s when we received the news that Barrow was out of fuel and we were being asked to reserve our fuel as best as possible. We also received the news that due to high winds we would possibly delay our first sampling trip which was scheduled for Thursday morning. There were two barges on the way to deliver gas but it was uncertain when the gas would be available. Not having gas was certainly going to put a damper on our sampling plans by boat so we began to think about other options. Winds were blowing as high as 25-30kts. Winds like those made usually simple tasks like opening and shutting car doors quite the task. So in light of the weather, all we could do at that point was wait and hope for the best. 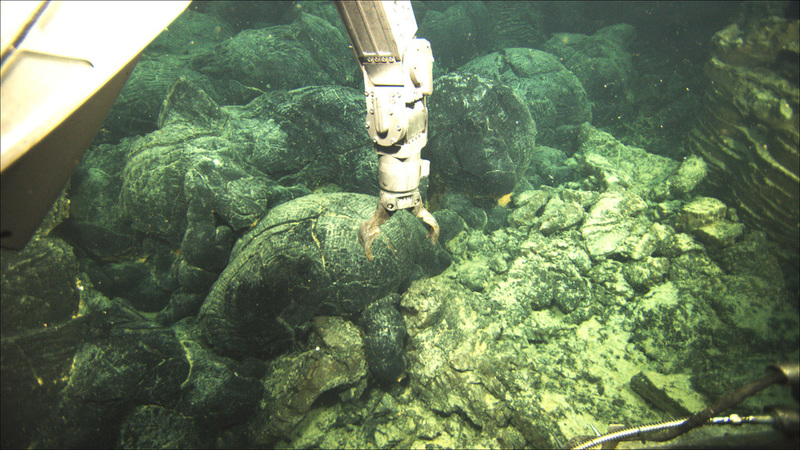 Part of our summer sample collection involves going 30-40 miles from Barrow to collect water from tundral melt pools that haven’t been influenced by civilization. These melt pools contain organic carbon compounds which we hypothesize will stimulate bacterial activity when released into the coastal ocean. We usually collect this water by travelling away from town by boat but because of the fuel and weather issues, that wasn’t possible. On Friday & Saturday, we concentrated our efforts on setting up both our BARC lab for RNA extraction and gear cleaning and the Beach freezer cold room where we’d be filtering water for DNA & RNA collection and Zac’s tundra melt-water incubation studies. As part of his thesis project, Zac is trying to find out if bacteria will be able to “eat” this material and if they do if it would increase their usage of nitrate. Because nitrate is what limits the productivity of the Arctic Ocean (i.e. how much of the green things at the base of the food web can grow) if bacteria start using more of it this could profoundly affect the food web in the Arctic. If the permafrost (frozen tundra) melts with a warming climate it could mean less fish, seals, bears, birds, and whales. Things went pretty smoothly with setup. We washed all of our supplies and organized our work spaces. Then, our group met to discuss sampling options in light of the rough weather. We worked closely to try to create some feasible scenarios that would allow for Zac & Rachel to collect tundra melt-water. After a meeting with the logistics personnel, the option of using ATV’s to collect the tundra water was presented, but we had to wait to see how things would work out with the weather. So to lift our spirits the group went out to eat delicious Chinese food at Sam and Lee’s and caught a few minutes of the first football game of the season. 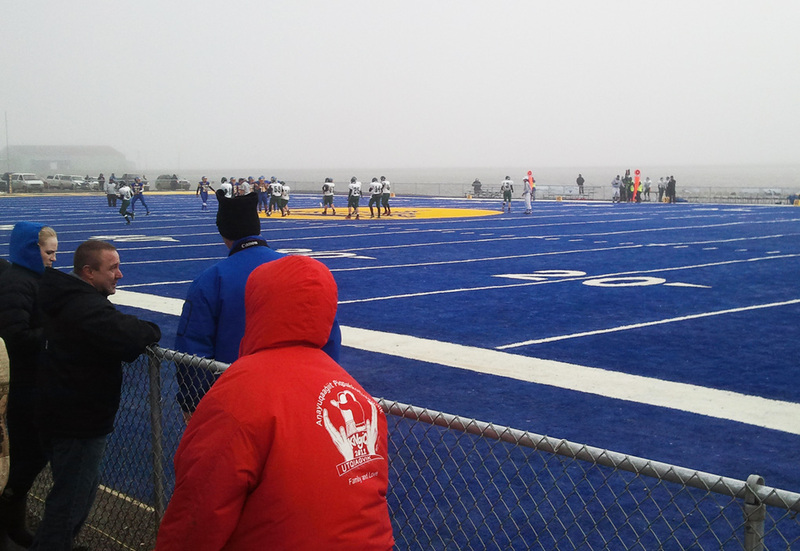 This also happens to be the highest latitude football game played in the world. The score at half time was Barrow 35 – Away team 0. 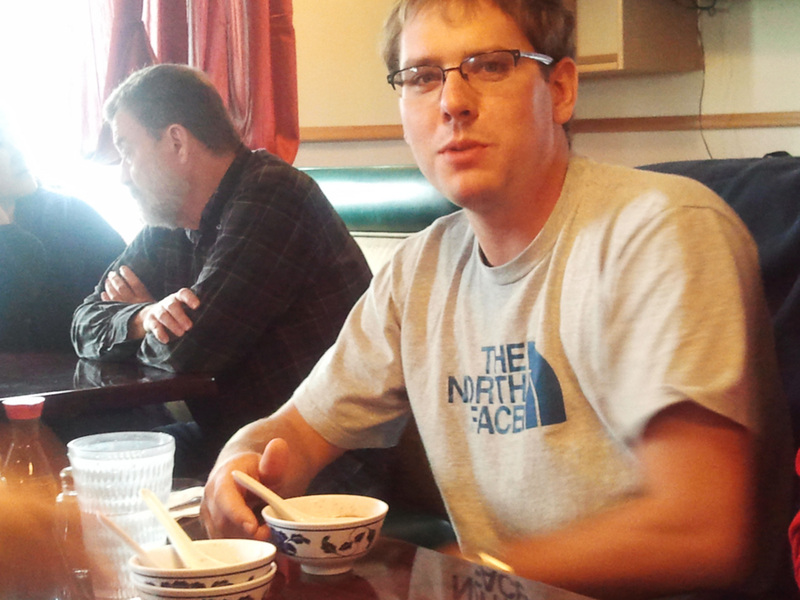 Zac caught chugging down his 3rd bowl of chicken egg drop soup. 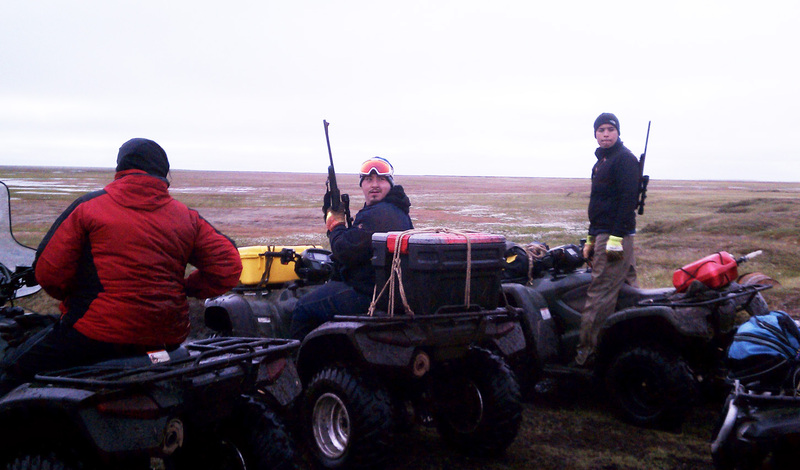 By Sunday we got a break in the weather and we were given the green light to go ahead and use the ATV’s to gather tundra water. 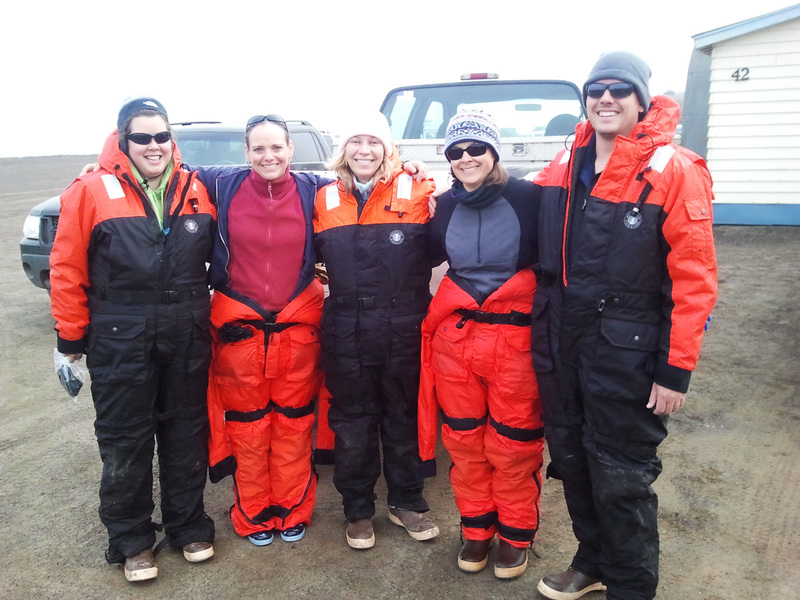 Rachel, Zac, Lynne, & Marta (Lynn and Marta are also from the Bronk lab at VIMS) all suited up and headed off with Brower to go find some tundra melt-pools. The ATV trip was an incredibly a bumpy, yet fun ride. The guide’s idea of a ‘trail’ was simply a general direction across the tundra. It was hard to compare the terrain on this trip to anything we have encountered. The closest comparison we could think of is: the tundra is like a very rough, frozen ocean, turned to mud. We then rode across this rough landscape at high speeds on ATVs; it was both scary and exhilarating. Needless to say, some ibuprofen and bed-rest were welcomed at the end of that trip. Fortunately, the trip was successful and we were able to get plenty of tundra water containing the high concentration of humic acids that we needed to get our experiments started. The winds decreased further by Monday so it was decided that we could go on our first sampling trip on the ocean. At 10 in the morning, we loaded our gear and everyone, with the exception of Victoria and Marta, headed out. Within 2 hours, the group returned and unfortunately couldn’t go out due to the low tide. A second attempt was made at 1pm and the boat was launched. While the group was out, the winds picked up again. The decision was made that is was too treacherous to return to the same boat ramp that we left from, so we had to continue around Point Barrow, directly into very high winds and seas to a more sheltered ramp. Several times the boat was airborne after being launched over a 5 or 6 foot swell. We did eventually make it back, but it was a punishing ride. We came back at around 5pm with water samples and told Victoria and Marta about a huge polar bear we’d seen just up on the way back from the boat ramp. 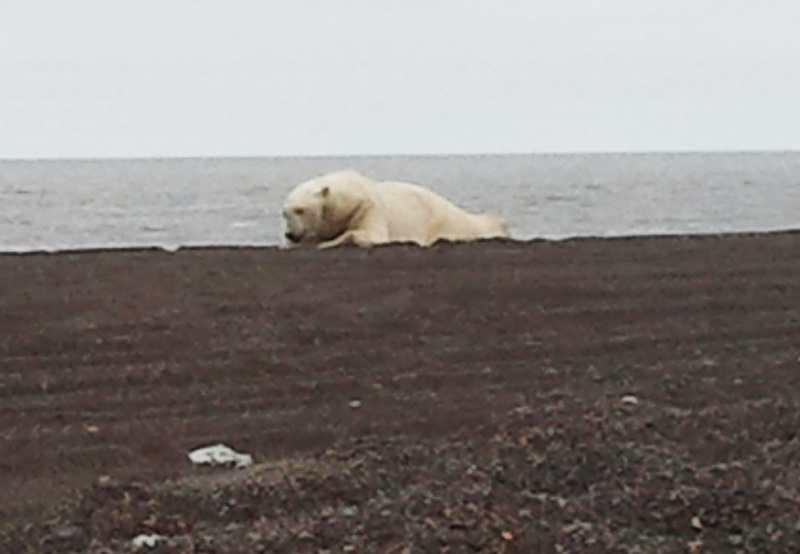 While the group unloaded the boat, Marta and Victoria went to check get some pictures of the Polar Bear. We were later told that there was a serious storm and somehow the polar bear ended up stranded in the ocean and swimming 100nmi to shore. It was huge and completely out of energy after the long swim. We watched the bear, feeling at ease since a bear guide who was armed with a rifle was nearby. Later, several people from our group witnessed the bear get shot by a local hunter. Rest in peace Polar Bear. Back in the Beach freezer cold room, we worked for several hours filtering our waters samples to collect DNA & RNA samples. Zac finally had both humic and seawater to set up his incubations. We worked pretty late but we were quite excited that we were finally able to get samples. Tuesday was primarily a lab day and we extracted RNA and prepared for the Wednesday’s boat trip. The other groups worked to process their water samples. 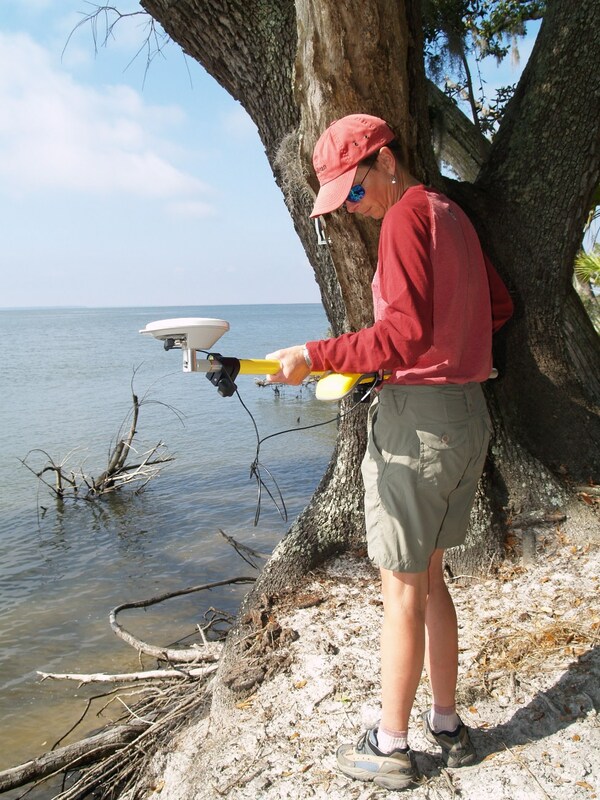 We were able to get out again on Wednesday for sampling. So far weather predictions are in our favor and we look forward to having a couple of more sampling trips before the weeks end.